Note: This is a SAMPLE POST and out of date – red snapper season is in. 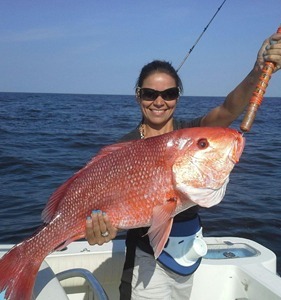 Don’t miss out on the most awesome red snapper fishing the gulf has to offer. Cobia and Kingfish are roaming too, so you will be sure to have a great time. Thank You Bonnie! We had sooooo much fun! Next time we’ll catch even more fish (if that’s even possible!!). Give the Captain our regards!